Many of the films at this year's Berlinale redefined the meaning of parenthood for me and Rachid Bouchareb's Road to Istanbul was first on my list of must-watch among them. To say that I was not disappointed is an understatement. I find that there is a leitmotif running through three-time Oscar nominated filmmaker Rachid Bouchareb's work. It's the idea that peace is fragile, no matter how idyllic the setting of your life, there could always be something threatening to invade it, to destroy the status quo. In Road to Istanbul, Bouchareb takes that concept further and catapults it into today's headlines. A daughter, Elodie (played by Pauline Burlet, The Past, La Vie en rose) who is drawn into the dark world of Daesh, and a mother, Elisabeth (played by Astrid Whettnall, In the Name of the Son, Yves Saint Laurent) who leaves her beautiful countryside home in Belgium to find her. It could be a chapter out of Anna Erelle's In the Skin of a Jihadist, a book I read last summer which has drilled a deep hole in my sense of security, as a journalist but especially as a woman. But even more eerily, Bouchareb tells a story we are hearing a version of every day in the media -- the characters change, the nationalities shift back and forth, but the outcome sadly remands the same. Through social media, young men and women are getting drawn into a world of deceit, lies and ultimately despair. Falling into the fangs of Daesh, the Islamic State, ISIL, or however we wish to call the movement, is just the horrible ending to this cat and mouse game we are all playing on Facebook, Twitter, through Skype and with Instagram. 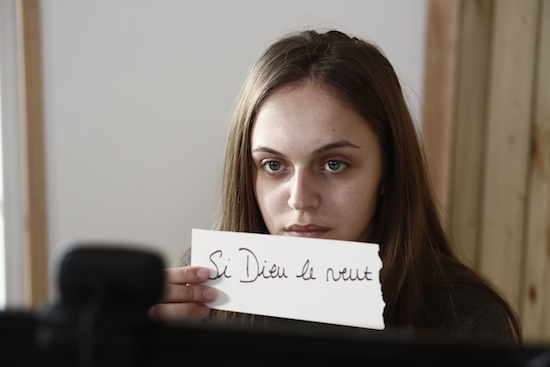 And from the point of no return, let Bouchareb's film be a cautionary tale that there is no turning back. Bouchareb is a hero of mine, I find his way to tell stories very relevant and as one of my favorite prophets, I was eager to interview him. I finally had the chance to in Berlin, where Road to Istanbul premiered, in the Panorama Special section. His films not only change his audiences but the world. The release in 2006 of Days of Glory (Indigènes), his second entry to the Foreign Language Oscar race, contributed to the partial recognition of the pension rights of soldiers from former French possessions by the French government. Bouchareb co-wrote this extraordinary story deeply rooted in what has become unfortunately all too ordinary these days with Olivier Lorelle, Zoe Galeron and Yasmina Khadra. As I watched the film I realized there were thousands of questions I wanted to ask the French-Algerian filmmaker, and would never have a chance to, due to festival junkets' time constraints. But thankfully, because of a perfect storm created by his great publicist, the filmmaker's own generosity, and the private venue of his hotel room where we conducted the interview, allowed for quite a few insight and plenty of his wonderful wisdom. As a man, Bouchareb delivers his answers in a wonderfully peaceful way, yet his words speak of war and destruction always awaiting to invade our lives. I felt a storm brewing just beneath his calm demeanor but one that he keeps perfectly bottled up for his films, so he can let it explode onto the big screen in front of his audiences, who, if like me, will never know what hit them at the end of Road to Istanbul. If I could make up my own rating system, I would give Road to Istanbul a thousand and one stars. Why do you think many of today's youth are drawn to an organization like ISIS? Rachid Bouchareb: I think we are in need to make a sort of sociological investigation into our youngsters in our societies. What is happening really to the young generations? We perceive that they are very fragile, they experience this feeling of loss, of not having references but we need to actually ponder on that and try to give answers to the question of why is that? Why are they in that state? With my ending, what I wish for as a viewer is that a new relationship begins, one with dialogue, with an exchange, with trying to envision the future in a different way, that's what a parent should do with a child in that situation, that's what I would do. Your ending is interesting because I watched the film and took something away from it, as a westerner, non-Muslim, yet a girl friend of mine who is Muslim saw something else in how you end it. Where do you stand, without giving too much of the story away? Rachid Bouchareb: I think the ending of the film is open to all directions and as you said each of us can read different things in it. It's just open, there is a suspense there, and it can go all different ways, but I wanted it to be like that. That's the reality of those events in fact. When fathers and mothers go to look for their children something changes deep down in their own relationship. I don't have any answers actually, to the questions that are raised in the film. My concern with this film was to look closely and to side with this mother who finds herself somehow totally unequipped and shocked by the fact that her daughter made these choices. She's just concerned with finding her. I met many of these parents like her and their main wish is to find these children again and bring them back and to try and rebuild the relationship as it was in the past. What are your thoughts about finding peace, or finding a solution to this issue? Rachid Bouchareb: Chaos is everywhere and war is everywhere and it's never-ending. You can't think you can escape that because it catches up with you. The only way we can sort of try to solve the problem is if we work together to be able to live in a situation with no violence and never-ending peace. There is no escape for any of us, it can hit you anywhere. I think that peace should be a subject taught in schools. From primary school children should be taught peace at least four hours a week, so it somehow rubs off on them. They have to grow up with it, so that peace can become a second heart in the bodies of the younger generations. We believe in the importance of teaching, transferring our knowledge and are now discussing ecology and having an environmentally friendly attitude as a learning subject in school, peace is exactly the same and we should promote those heroes who fought for peace at the cost of their lives. There are so many. How do you help your own children through this difficult time in our history? Rachid Bouchareb: I talk to them a lot, now I think when you have a child and they are eighteen, nineteen, twenty, you can't say "I'm out of the world." You need to stay in contact and to try to understand where they are, but a parent can never anticipate the choices of a child. There are boundaries in terms of control of your own children. There is a moment when they have to take their lives in their own hands and you can no longer control them. So there is a part of mystery that you can't anticipate, when an abrupt change can happen. You just try to be a parent as best as you can. The new generations are building a new world, so it's up to them. If you could choose one message your audience should walk out with from your film? 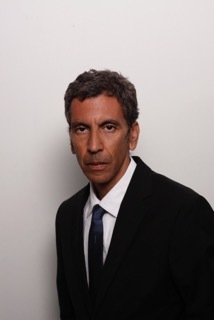 Rachid Bouchareb: I think the most important message in the film is for parents or wanna-be parents is to think about their relationship with their own children. To change their minds, in a way, about the fact that they must have a permanent contact with their children, especially in our world that speeds up so much. They should devote more time, this is what I hope they will feel when they walk out of the theater. All images courtesy of Elle Driver, used with permission.